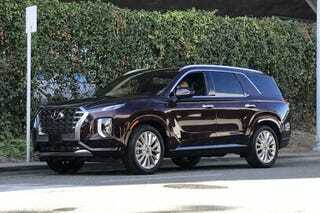 It's Hard to Say, "Hyundai Purple Palisade"
This is an appropriate preview to be privy to, my peeps! Apparently, purple Palisade profiles project proper proportions. What?! That presumption is as preposterous as a hip hop hippopotamus? The parts placement prescription is far from pulchritudinous? Perhaps, but to be prosperous your perspective must be positive, people!